Accommodation at K.Gudi Wilderness Camp is clean, comfortable, homely, non-ostentatious and merges with the surrounding environment. 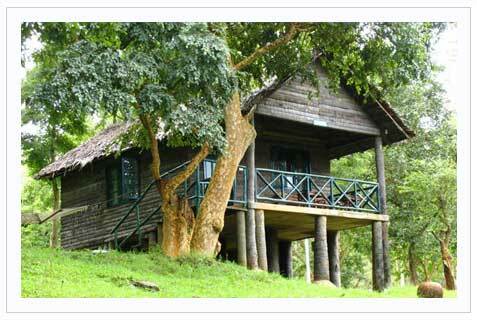 The Camp has eight twin bedded tented cottages & three newly built log cabins on stilts.K.Gudi can easily accommodate upto 25 pax at a time and also provides an ideal setting for hosting meetings and conferences. Hammocks are placed at convenient locations for those who wish to laze.